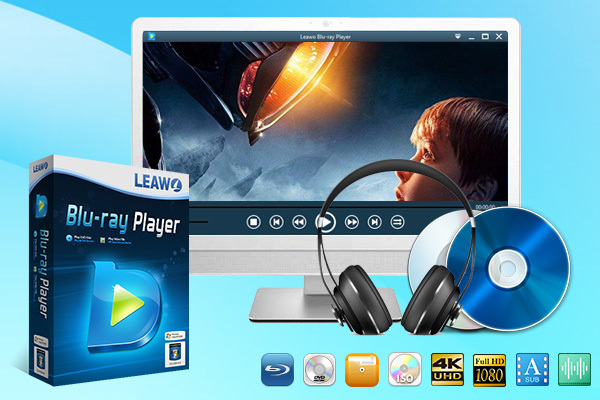 Being the best free media player software combo, Leawo Blu-ray Player (http://www.leawo.org/blu-ray-player/) is all-inclusive media player software to play back Blu-ray/DVD disc, audio, common videos and up to 1080P HD videos and audios smoothly on Windows 8/7/Vista/XP in lossless quality. As professional region-free Blu-ray/DVD media player software, Leawo Blu-ray Player could decrypt the latest Blu-ray/DVD discs and play Blu-ray/ DVD discs of all region codes. It could play back Blu-ray discs in AACS, BD+ and the latest MKB protection and play CSS-DVD discs easily. It outputs video at up to 1080p high-definition quality without loss of data and frame, and allows full preservation of all audio tracks (like AC3, DTS, AAC, multi-channel LPCM, TrueHD or DTS-HD sound), subtitle streams, chapter markers and videos. With various advanced audio decoding technologies like Dolby, DTS, AAC, TrueHD, DTS-HD, etc. built in, Leawo Blu-ray Player delivers extraordinary audio effect. It could even play back ISO files directly, no extra codecs needed. For details, please visit: http://www.leawo. The Microncode Audio CD Ripper is an app for Windows desktop that allows you to convert Audio CD tracks to many types of audio files. You can convert the Audio CD tracks to AAC, APE, MP2, MP3, Vorbis OGG, ACM WAV, PCM WAV and WMA audio files formats.